The only straight idea in my head was to get my Free University Degree Online, the question is how? Many people, would say they are waiting for inspiration or a motivation to study. I have only one thing to say, MOTIVATION is 100% garbage! Where is your motivation, when you need it most ? If you do not believe me watch this video to find out yourself. Mel Robbins is an American on-air CNN commentator, motivational speaker, author, life coach and contributing editor for ultimate success stories. I can only tell you from personal experience, if you wait for motivation and the right time to come, this might never happen. In fact, how do you actually know when is the right time? You do not! To start studying all you need is a laptop, internet connection and a library if possible. If you do not have library plan B, is to rely only to online resources. Do you see this? So easy ! We all have heard of Google and this is one the best things ever. To make it really easy, I have selected the first website on the search engine. My click brought me to a website, I have never been before. Most of you probably wonder, how is that going to help me to obtain a degree that actually counts? You will make every single thing you learn count! You are the person that takes crucial decisions every second in your life! For the purpose of this post, I will select two soft and two hard skill courses. The amount of courses and the amount of information is absolutely endless. I have selected the “Introduction to time management”. The reason why, I went for this course is because, it is extremely important to know how to manage your own time. I have already previously checked some of the requirements for basic entry lever Administration jobs. After the successful completion, the certificates obtained at the end of the course can be used to build a CV. Afterwards, you can simply, go on your local job list website and apply for a job. Time management is very important no matter how; stupid this might sound to you. This particular course will effectively and efficiently guide you, how to manage your own time. The course seems to be very popular with 61,759 current students at the time of writing this post. The second course, I have selected was Achieving Personal Success. It is ideal choice for our Free University Degree Online tutorial. The course seems to be also very popular as it is coached by highly respected general manager of IDEO. In this course you are expected to learn good mental health habits. How to create successful products or services. This is getting very interesting because, if I remember correctly during my university experience my next choice never was even mentioned. I truly believe that my next choice is fundamental in business and you do not actually need money to obtain training. Microsoft Excel is essential tool in every business and no matter what industry or business you go, this tool is part of the game. Hence, Excel is part of the hard skills selection. You would not be able to learn and pick up all the excel skills required at University but in our specifically designed Free University Degree Online, you would be receiving this for FREE. All of the courses including in this post come with certification, which you can list on your CV. My last but not least on the list would be the “Customer Service Training”. Every business evolves around its customers. The ability to know how to handle customers on the phone or face to face is crucial for this administration job, I have mentioned earlier. The ability to communicate with customers is vital. I do believe that this is the foundation to successful business or a career. I have gained my customer service experience at MacDonald’s and this is the perfect academy with real practice. 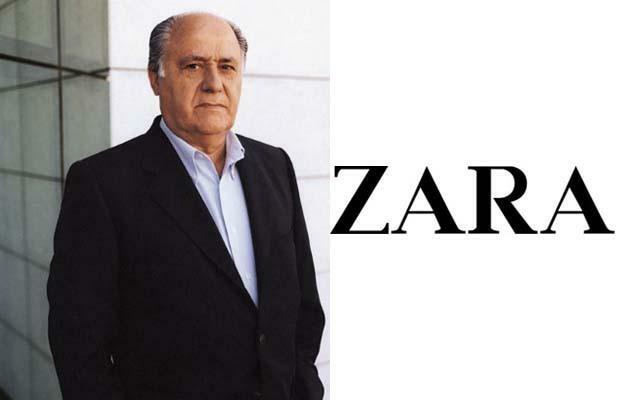 Amancio Ortega Gaona is a Spanish Businessman and Tycoon. His net worth is estimated to $70.1 billion by Forbes 2017. If we take his CV for instance, you might think this person is either very lazy or very stupid, if you did not know him of course. Nobody would, actually want to hire him. He did not go to University. However, Ortega had a vision and shared a dream like many others. The key to success in your hands. Create your own future the way you want it! If you have liked this post, please share and like it on our Social media and we would love to hear your stories and vision in life.